I have a nostalgic fantasy about pre-Christmas activities. The baking and decorating and shopping are all very well but I also always insist on Christmas music and theatre performances, usually in the week before Christmas. Back in September, when Christmas is still a twinkle in our eyes, I make sure plans are in place and tickets are acquired. Otherwise, you can be pretty sure it would get shuffled off as we'd find other more essential things to do. 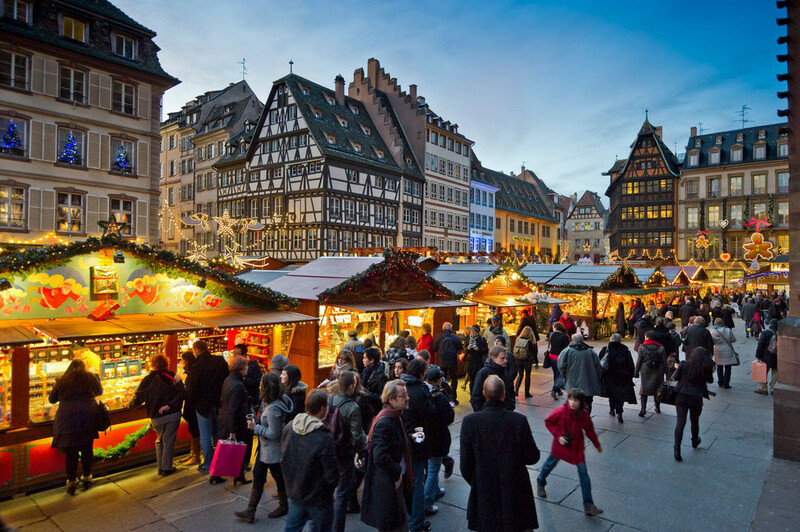 That could be us, walking leisurely through a Christmas-y town where music is playing and lights are twinkling and we're on our way to the theatre. As we're in Halifax, it's not always like this. It's sometimes raining and we get let out at the theatre door and rush in with plastic rain gear dripping. Once in the lobby though, the scene is the way I like it: small excited children, little girls in velvet dresses, little boys in white shirts and sweater vests, Mum and Dad glad to be out of the house and enjoying the little ones' fascination with it all. 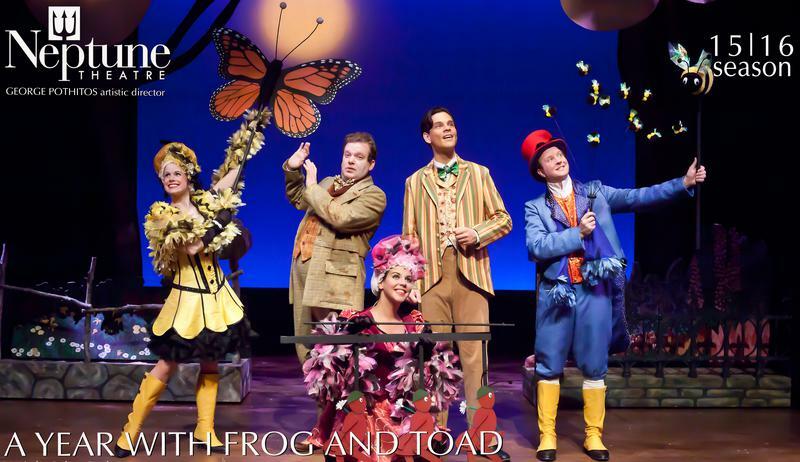 Last weekend, we went to Neptune Theatre to see A Year with Frog and Toad. 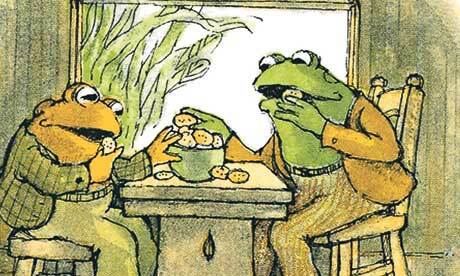 It's a musical written by brothers Robert and Willie Reale, based on the Frog and Toad children's stories written and illustrated by Arnold Lobel. It had a successful run off-Broadway and a short run on Broadway. 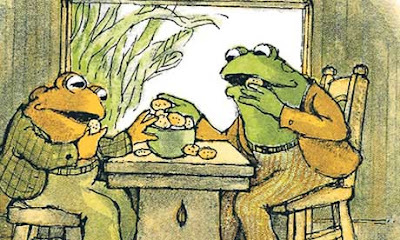 We had the children's books when William was little. Because he's a good sport, William came with us. I told him it is, after all, a Christmas family tradition to go to the theatre at Christmas. 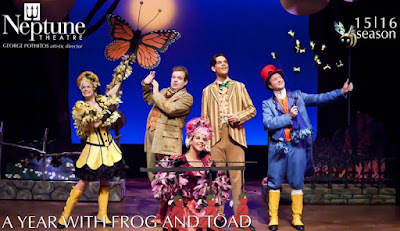 We had a good time — the show was light and frothy; it had some catchy tunes and cute situations and it was fun watching and listening as the little kids enjoyed their first experience with live theatre. I had spent a couple of days in bed this past week with what seems to be my traditional pre-Christmas elusive virus — no describable symptoms but just generally feeling rotten. I had no intentions of missing Messiah again though. Our tickets were for last night and I fixed myself up in my Christmas finery and off we went. 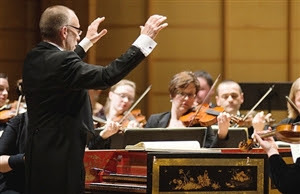 “As it is for so many, Handel’s Messiah has always been an integral part of my musical life,” says Weimann. “Since my childhood in Munich, where this piece was performed regularly both before Christmas and Easter, I took part in countless performances: as singer, organist, harpsichordist, and conductor. It will, without doubt, count as one of the highlights of Christmas 2015. I'll now check traditional-family-Christmas-theatrical-experience off my list and get back to the reality of cranberries and mincemeat. Both are essential!